Every inch of the compact C1X exudes Yamaha’s passion for the ideal piano with its superb balance and rich tone. Every inch of the compact C1X exudes Yamaha’s passion for the ideal piano with its superb balance and rich tone. 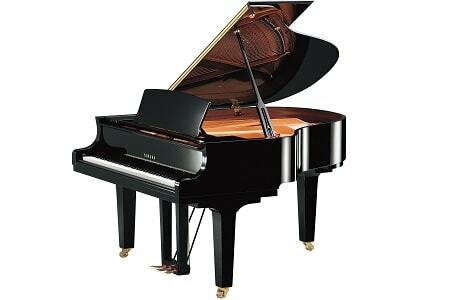 The CX Series was designed and built on the knowledge, techniques and experience gained during the 19 years of development that Yamaha put into creating its flagship CFX concert grand. The CX Series extends this work further, offering a clear sound with a perfect attack, sparkling tone and transparent harmonies, all encased in an elegant, flowing form. The result is a series of instruments that is refined in tone yet bold in design. Meticulous regulation and voicing performed by Yamaha’s highly skilled specialists gives these grand pianos a beautifully rich resonance. The end result is a bright, clear, ‘singing’ tone, rich harmonics, and a depth of expressiveness to satisfy even the most demanding performer. Learn more about the CX series range from the free iBook. Just search for ‘Yamaha Music Europe’ in the Apple iBook store.